"A coming of age story"
The movie “5 Flights Up” follows a couple, Alex and Ruth, as they try to sell their apartment, located in a Brooklyn neighborhood that was once run down but has become trendy in the last 20 years. 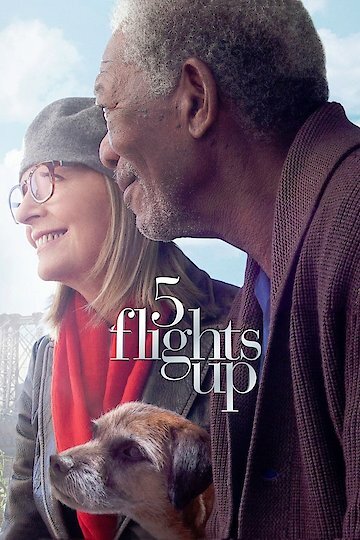 The couple decides to sell their apartment and move to new area after their dog has difficulty walking and has to undergo high-cost surgery. The movie highlights the couple’s strong bond during a weekend filled with crazy apartment hunters. Based off Jill Ciment’s novel “Heroic Measures,” the movie stars Morgan Freeman and Diane Keaton as Alex and Ruth. 5 Flights Up is currently available to watch and stream, download, buy on demand at Netflix, Amazon, Vudu, Google Play, FandangoNow, YouTube VOD online.